Freight forwarder Tigers has opened a new office at Frankfurt Airport. 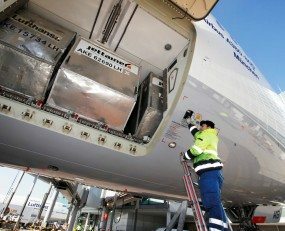 It will act as a gateway for Europe by creating air freight consolidation products, starting with the Germany-South Africa trade lane. The new office, the Group’s third in Germany, offers the full range of Tigers’ core services, including international freight forwarding and customs brokerage, as well as its EU-China rail freight service, Tiger Rail. Tigers Germany works across a range of industries including industrial goods, aerospace, automotive, chemicals, pharmaceuticals, high-tech, perishables, cosmetics, and fashion among others. The Hong Kong headquartered company has opened a number of offices and warehouses worldwide this year, including in Riverside, California and Dallas, Texas in the USA and Shanghai, China.